There are only six days till Purim arrives and I already am in the Purim spirit. I hope these Purim melodies will spread some Purim joy to a reader of my blog. First let me post some of the latest hip-hop videos of Ari Lesser. Mr Lesser has contributed his talent to other well known Jewish musicians as I will post them after this one. We are reading the first portion of the Book (sefer) of Shemot where the story of the birth of Moses, our teacher, is told. Hashem, the Holy One Blessed is he, revealed his glory to Moses in the appearance of a bush which burned but was not consumed. Amaseffer, from their monumental album ‘Slaves For Life’, provides a heavy-metal sound-track to the initial portions of the story of Exodus. It has occurred to me that our great teacher Rabbi Meir Kahane (May his memory be a blessing, May his blood be avenged) can be compared to Matisyahu Maccabee without concern for denigrating either. 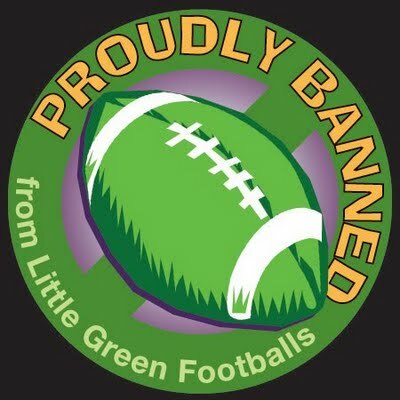 Many things brought me to this conclusion but most recently an article I read on Aish.com which I will re-post below this article. The Maccabees were a small minority, a fringe element, within the Land of Israel societies. Coming from the priestly class (the Kohanim) the Maccabees were not numerically superior. Many of the Jewish people had slid into the morass of Greek Hellenism and were happy playing the Greek sports and worshiping the Greek ideals of philosophy and science (which elevated man to the position of G-ds and erased Hashem from the picture). But the fire of Torah burned brightly in the family of the Hasmoneans and eventually the breaking point was reached, they revolted against the Greek and Hellenist destroyers. Drawing a parallel to our great, wise, and prescient Rabbi Kahane we find that this fire of Torah also burned within his soul. Rabbi Kahane, much like our most revered prophet Moshe Rabbeinu, could not live in a world were being Jewish was something to be ashamed of. Rabbi Kahane felt the burden of the Jewish people throughout the diaspora. He saw the Egyptian task-masters striking against the Jew and his deep-down emotion was to smite the Egyptian. So too did the Maccabees feel this fire burning inside their soul, the flame of Jewish pride and purpose, and they would not allow these Hellenists to replace Hashem, the Holy One Blessed is he. The task at hand was not easy. No test from heaven is ever easy, and the Maccabees rose to the occasion. They mustered all their strength (and the fact that they had no military training, nor any history of brave warriors) and faced the obstacles head on. They did not show fear, they did not back down, they stated the facts and they stood strong like the cedars of Lebanon against the Greek onslaught. Four of the brothers died in the ensuing battles and it was not always easy to move forward, yet in the end their endeavors were correct. They saved the Jewish nation from almost certain death. 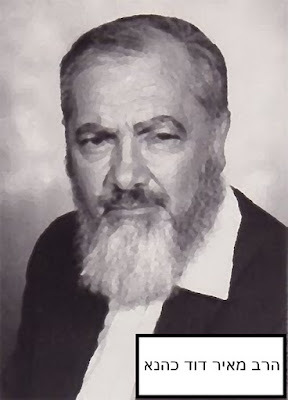 Rabbi Kahane too had such ‘Mesirat Nefesh’ (Self Sacrifice) and ‘Ahavat Yisrael’ (Love of the people of Israel) that he had no fear of the nations, no fear of the hellenist Jews, and knew that his mission was righteous and noble. His love of the Jewish nation trumped everything, even his own comfort. Like the Maccabees had to live in a cave after rising against the Hellenists, Rabbi Kahane spent many months in prisons because of his protests against Jew haters, yet his love of AM YISRAEL never ever diminished. Rabbi Kahane stood against Nazis (actual neo-nazis and muslim nazis) and against the USSR’s attempt to smash the Jewish spirit in Russia. He did this with a rag-tag team of supporters, often he was taunted by his own people and called unbelievable names. But he knew that he was speaking the truth, he was teaching the lessons which our prophets were trying to teach us all along. He stood against assimilation in America even as the problem got worse and worse, till today when more than 70% of Jews are assimilating. Rabbi Kahane Was Right! This is a slogan we use today because we hear what he said over 30 (even 40) years ago and see that he was absolutely, 100% correct and if we only listened to him then we would not be in the predicament we are in today. I am of the opinion that the Oral Tradition of Judaism will adopt Rabbi Kahane as a modern day hero. We see this slowly happening as articles from time to time appear in the media which support the legacy of Rabbi Kahane. With our help, his ‘disciples’, we will spread his message. May Hashem assist us, as he assisted the Maccabees and Rabbi Kahane, to resist the force of hellenisation and assimilation, and to educate and strengthen the Jewish people, where ever a Jew is, especially in Eretz HaKadosh, the land of Israel. The Rebbe was an exceptional man, a beacon of hope for the Jewish nation still in exile. Chabad Lubavitch is an organization which is unparalleled in the Jewish world today. Chabad emissaries are located throughout the world, in the farthest corners of this planet, in noble mission to bring all Jews back together to live in Israel. Thanks to modern technology the world is full of the wisdom of the Rebbe. Many of his talks were recorded, both audio and video, and his videos are still being released to this day. Many of his incredibly prescient statements can be found on YouTube and DVD’s which can be purchased. Here are a sample of the things the Rebbe said on the topic of Israel, the safety of the Jewish people in the Jewish land, and how to ensure peace in Jerusalem. The Rebbe certainly loved every Jew and his mission was to bring them to fulfill the commandments of the Torah. Chabad to this day goes to extreme lengths to make sure that Jews can perform all the mitzvot including candle lighting, donning Tefillin, and keeping Kosher. This Monday evening marks the 23rd year since the assassination of the great Gadol Rabbi Meir Kahane, may his blood be avenged. The date on the Hebrew calendar is the 18th day of MarCheshvan also known as October 21. The legacy of Rabbi Kahane is incredible. A man who was and is either loved or hated by Jews, but his name is known by all. The great Rabbi has a love of his fellow Jew so great that he was not afraid of speaking the truth in a world which has much hostility towards Jews who don’t bow to the public opinion. Most Jewish establishments would not support the Rabbi even though everyone knew he was right. The appeal of Rabbi Kahane is growing even to this day. Young Jews who were not born when he was alive are learning about a man who wanted nothing more than for Jews to be able to live in peace in their own country, the original Zionist dream. The secular Zionists wanted to live in a Jewish state to reduce antisemitism, but the truth is it increased Jew hatred because the secular Jew did not feel the 1000s year old desire to return to the land. A strong Jewish leader is required, and the current leaders of Israel are woefully weak. Here is a video by Rabbi Levi Chazen of Mitzpe Yericho discussing the Parsha of Chai Sarah (which we read next week). And the next video is a memorial for Rabbi Kahane in Los Angeles by Rabbi Moshe Parry. I met Rabbi Parry several years ago at a Shabbaton held by one of my Rabbis. I hope to post more videos in the memory of Rabbi Kahane shortly. This evening I attended an event held by my Chabad Rabbi. He hosted Rabbi David Nesenoff, the famous Rabbi who exposed the decrepit Jew hating White House press-core ‘dean’ Helen (Yemach Shemo) Thomas. The evening was full of humorous stories about how divine providence led him to his current mission, exposing the Jew hatred in the mainstream media. By doing this he has made enemies, even receiving many 1000s of death threats, from the non-Jews and even from some left-leaning self-hating Jews. I am proud to have met this upright Yid, to shake his hand and offer a hearty ‘Kol HaKavod’, and to have my picture taken alongside this Jewish hero. The JTF is very clear about how phony the mainstream Jewish establishments are, and Rabbi Nesenoff validated this concern when he informed us of the resistance that some Jewish press organizations had. Many did not want to ‘stir the pot’ by releasing the fact that Miss Thomas basically told the Jewish people that they had stolen the land from the so-called ‘palestinians’. Miss Thomas was ignorant of the fact that the Jewish peoples presence in the land far pre-dates the Holocaust. And even without the Shoah, the land of Israel is Jewish and will always remain Jewish. There is no new covenant, the covenant made with our father Abraham was eternal, and the Torah clearly says that there will be no replacement for the Torah, nor replacement of his beloved people (even if they are not so beloved at the time). The enemies of the Jewish people are trying to de-legitimize the Jewish peoples presence in their own land. They try to prevent Jews from praying at their Holy Sites, our Holy Temple mount is off limits for religious Jews who are arrested for simply moving their lips in prayer. Jews have to live in fear while visiting the Tomb of Rachel our matriarch because of terrorists. So too this week, when we Jews remember our father Abraham and Sarah who are buried at the Cave of Machpelah in Hevron, and the security forces must ensure the peace otherwise religious Jews would be killed by viscous arab ‘jihadis’. The lie and steal our land, accusing us of the very crimes they are guilty of. Rabbi Nesenoff’s advice is for Jews to continue to do Jewish things. We must continue to do the mitzvot (commandments), we must continue to stand up for what is right in the face of incredible opposition. We cannot be quiet, we cannot be like sheep, rather we must be Jews. The anti-Jew is incapacitated when a real Jew acts Jewish. I am openly Jewish, wearing my kippah and tzit-tzits every day. When a Jew is doing what he or she should be doing the nations of the world are unable to indict us. The land is ours, when we act like it is not ours (by giving away this or that piece of land) the world begins to ask whether it was really ours to begin with. We should not negotiate with people who have sworn to kill us, who joined with Hitler in the Shoah to bring about our extinction. The Jew must not bow to the pressure of the nations to commit suicide. We answer to the highest authority, Hashem, who is the master of Heaven and Earth, and the land was given to the Jewish people as an eternal heritage. The arabs are nothing but thieves and murderers, and they must be encouraged to leave our land. 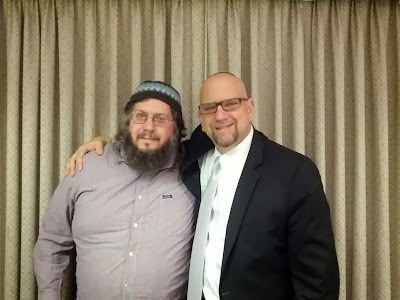 Rabbi Lazer Brody ranks among my favorite Rabbis, and certainly my favorite Breslever Rabbi. I have listened to his talks and watched his videos for many years and hope some day to meet with him, and have a Shabbat with him and his students. Below are some of his videos he has posted on youtube.com.